GAY — A slow-moving environmental catastrophe unfolding in Lake Superior starts beneath the shadow of an old smokestack. That’s where the Mohawk Mining Co. left a heaping pile of waste when it shuttered its stamp mill 86 years ago in the far western Upper Peninsula. As much as 23 million metric tons of crushed rock sat along the shore — enough to fill more than 1.4 million commercial dump trucks today. Line up those trucks end to end, and the queue would stretch more than 7,000 miles, circling more than a quarter of the globe. Whittled down by winds and waves, the pile now weighs in at 2.4 million metric tons (more than 150,000 trucks) and is shrinking. But none of the dark, coarse sands actually vanished. 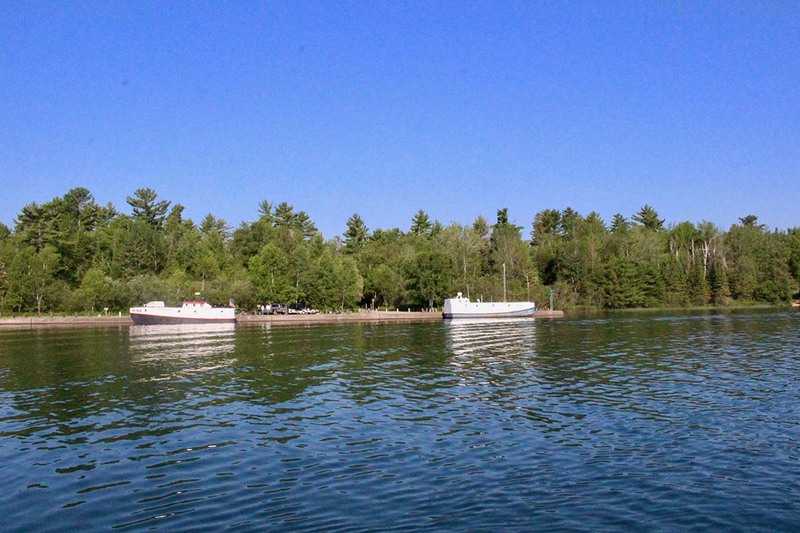 Instead, they’ve seeped into the lake, bringing along metals like arsenic and copper – as well as the potential to decimate fisheries and a way of life for Native American tribes who rely on them along the Keweenaw Peninsula. Left over from the mining bonanza that gave the western Upper Peninsula its “Copper Country” nickname, the waste now covers five miles of coastline along the corner of Lake Superior known as Grand Traverse Bay. Drifting southward from Gay, a tiny unincorporated community, the mining waste is damming stream outlets, covering wetlands and jeopardizing one the lake’s most productive spawning grounds for lake trout and whitefish. That’s Buffalo Reef. The waste already covers more than 35 percent of the reef and could blanket up to 60 percent by 2025 without major intervention, according to the Michigan Department of Natural Resources. 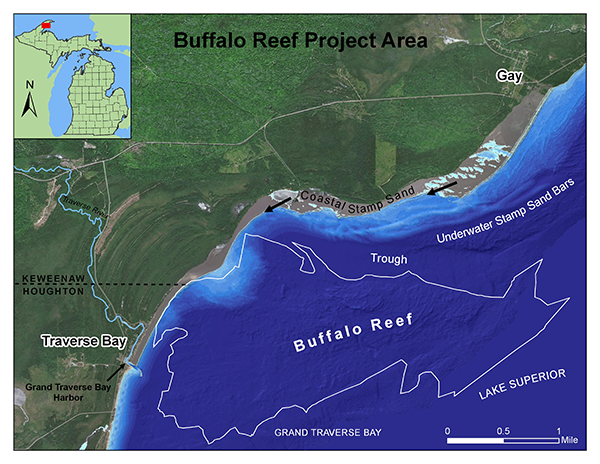 Stretching 2,200 acres beneath the bay, Buffalo Reef supports a roughly $5 million-a-year recreational and commercial fishery around the Keweenaw Peninsula in the western Upper Peninsula. Nearly a quarter of the lake trout caught in Michigan’s portion of Lake Superior, the world’s largest freshwater lake, comes from within 50 miles of the reef, according to the DNR. The reef produces 22 percent of commercial fish in southern Lake Superior. But life is vanishing in waste-covered sections of the reef. That’s because stamp mill sands are smothering crevices between the reef’s cobbles, where fish lay, fertilize and incubate eggs. The metals in the sand, particularly copper, are toxic to tiny organisms that grow on the reef and are at the bottom of the food chain. The trend worries the Keweenaw Bay Indian Community and other Ojibwe tribes. The tribes fished Superior — called gitchi-gami— long before miners swooped in to strip away earth’s metal. “Every single tribal member is affected by what goes on on this reef,” said Evelyn Ravindran, natural resources director of the Keweenaw Bay Indian Community, a 3,600-member tribe whose L'Anse reservation includes 19 miles of Lake Superior shoreline. After fits and starts in recent years, state, tribal and federal policymakers are searching for a way to permanently protect the reef. A solution would require confronting Lake Superior's ever-changing conditions — and coughing up a lot of money. From the front porch of his summer beach house, Bob Regis can hardly see Lake Superior’s waves rolling into shore. Instead he sees dark sand. It’s everywhere, hiding the native white beach and adding more than 100 yards between Regis’ spruce bungalow and the water. The 62-year-old Northern Michigan University geology professor remembers this beach looking very different decades ago. It was gentler. There was less of it. Visiting his uncle’s place nearby as a child, Regis recalled wading into water little more than 20 or 30 feet from the porch. 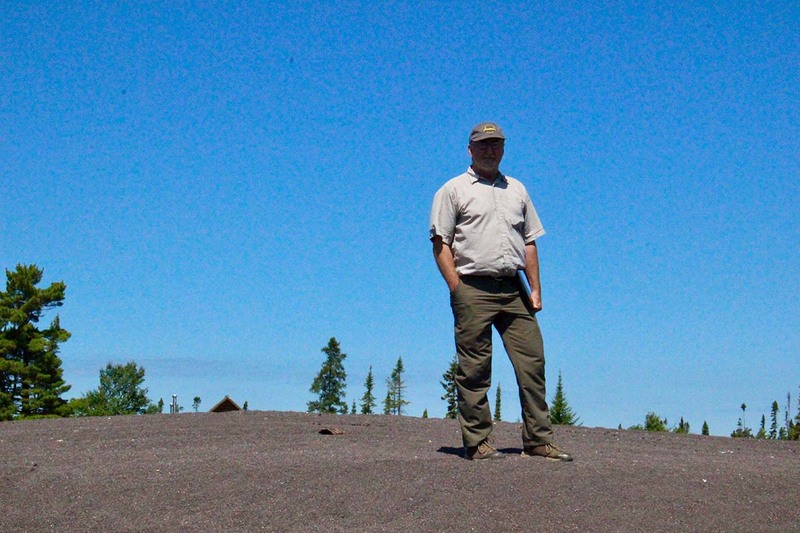 Bob Regis, a Northern Michigan University geologist who owns a summer home in Lake Linden along Lake Superior’s Grand Traverse Bay, can no longer see the home from the water. That’s because more than 100 yards of mining waste have piled up on the shore, covering up native white sands. (Bridge photo by Jim Malewitz). Back then, folks could reel in lake trout and whitefish from the shore. Now? “I don’t catch anything” from shore, said Regis, who bought his property about 20 years ago. The sands, of course, are coming from Gay, just up the coast. To find the pile, go to the town’s eponymous Gay Bar, across from a historic schoolhouse. Grab a drink and look east to the weathered smokestack peaking above the trees near the lake shore. At its base sits the graffitied cement remains of Mohawk Mining’s stamp mill. The company’s mine, 12 miles northwest in Mohawk, employed 1,000 workers at its peak in the early 1900s. At the mill, workers crushed rock stripped from Mohawk, separating out lucrative copper. The grueling work lasted until the mine shuttered in 1932. The process left heaping piles of waste: crushed rock known as stamp sands. Throughout the UP, about a half billion pounds of the waste was left after the boom went bust, according to the DNR. This pile in Gay now serves as an unofficial playground. It’s a place to walk dogs, ride snowmobiles and ATVs or, in the case of a bearded man who declined to share his name, drink a couple of beers by the water. “I come here pretty much every night,” he told a Bridge reporter who visited in July. But visitors can’t see the disaster playing out down the coast and beneath the bay: the gradual smothering of Buffalo Reef. Kerfoot teaches biological sciences and geological and mining engineering at Michigan Technological University. 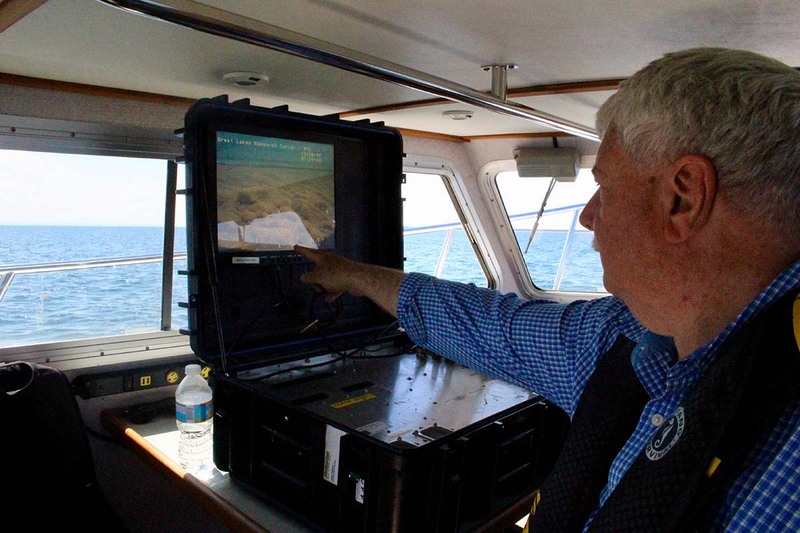 He’s examined the encroachment on Buffalo Reef for years, helping government agencies understand where the Gay sands now cover the reef and where they’re heading. On a sunny day in late July, Kerfoot and Jamey Anderson, who coordinates Michigan Tech’s marine operations, examined the reef through the eye a remote-controlled vehicle roving underwater. The men liked what they saw as they floated over some southern portions of the reef. Here were growths of Periphyton — a type of algae that thrives in shallow, clear waters and forms an essential base of the food web. Here, Kerfoot’s calculations showed a sand mix of just 3-6 percent mining waste. That left the reef’s crevices cleared for fish to drop their eggs in the fall. But as Anderson went farther, the monitor showed a more waste-heavy mix of sands — some of which had drifted farther south than the men expected. Kerfoot sighed. In some spots, the waste completely hid the reef’s cobble fields. Kerfoot and other experts say the dark sands could transform Buffalo Reef into a biological desert, starving tiny creatures and disrupting the food chain. “It’s killing off a lot organisms,” he said. Tribal fisherman first noticed something had changed in their waters. In the early 2000s they reported catching a different mix of fish, some at lower numbers in pockets of the bay, particularly nearer to shore. Tribal biologists began investigating and found troubling signs around Buffalo Reef. Mainly: juvenile fish could no longer be found in shoreline habitats covered by the waste. Fish catches haven’t dramatically changed region wide. Whitefish harvests are down in the area, but they’re also down lakewide, so it’s hard to pin the decline on Buffalo Reef, said Bill Mattes, a fisheries biologist for the Great Lakes Indian Fish and Wildlife Commission. But with a smaller area to hatch their eggs, biologists predict, fishermen may see more significant changes in the coming years. A similar threat to lake trout is frustrating, Mattes said, because Great Lakes fishery managers over the years stocked some 1.6 million of the fish in the Keweenaw Bay, trying to reach a self-sustaining population. “We’ve put a lot of effort into rehabilitating this reef, just to see it covered by stamp sands,” he said. Buffalo Reef supplies nearly a quarter of tribal commercial harvests of lake trout (12,500 pounds a year) and whitefish (about 125,000 pounds a year), according to the Great Lakes Indian Fish and Wildlife Commission. A loss of fish from Buffalo Reef would likely deal a blow to genetic diversity across the bay, perhaps making surviving fish populations more prone to diseases. “This threat further undermines the ability of my tribe and others to sustain themselves through the harvest and sharing of fish,” Warren “Chris” Swartz, president of the Keweenaw Bay Indian Community, told a U.S. Senate committee last year at a hearing about Native American treaties and hunting and fishing rights. 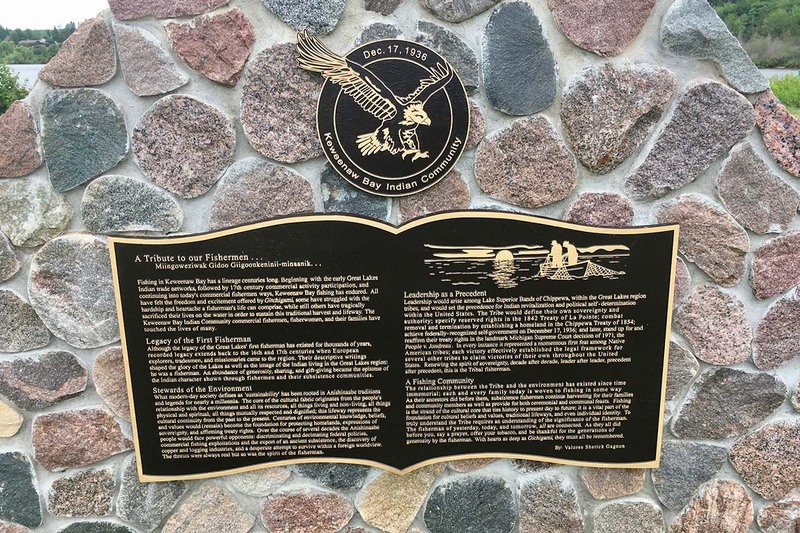 He warned that failing to protect Buffalo Reed could violate treaties that allow tribes to fish in the waters, including a 1909 agreement that bars the U.S. and Canada from polluting boundary waters. But how to save Buffalo Reef? First, officials must thwart the millions of tons still traveling south from Gay. For that, the focus is dredging — clearing the muck using heavy machinery. The U.S. Army Corps of Engineers this month announced a $2.7 million dredging contract to Peterson Cos, Inc. of Wisconsin. 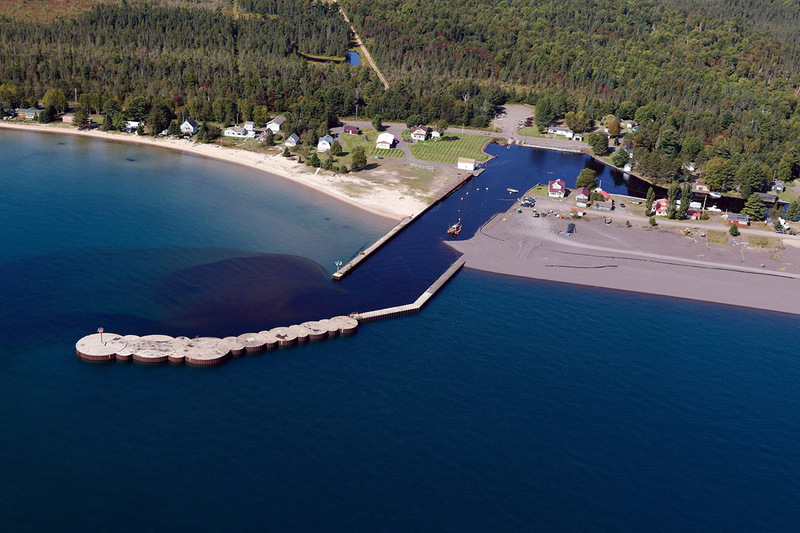 By next July, the contractor is to clear about 27,500 cubic yards of mining waste from Grand Traverse Harbor, and an extra 80,000 cubic yards from a fast-filling trough north of Buffalo Reef. That’s just a tiny fraction of the waste in the bay, and the dredging is expected to delay the migration to Buffalo Reef for just two years, according to Steven Check, a project manager in the Army Corps’ Detroit district. That’s only if all goes as planned, which is not a sure thing on Lake Superior. Last year, the Michigan DNR dredged near the Grand Traverse Bay Harbor, whose sea wall separated white native beaches from the encroaching mine muck. Powerful storms undid much of the work, pushing the black blob over the wall and clogging the harbor. Another issue is where to put the waste. For now, the Army Corps plans to put it right back where it came from — the pile at Gay, where it won’t sit still unless governments find at least $13 million dollars to wall off the shore. A task force of state, federal and tribal agencies also is studying a permanent solution. A feasibility report on all the options will be released in October. 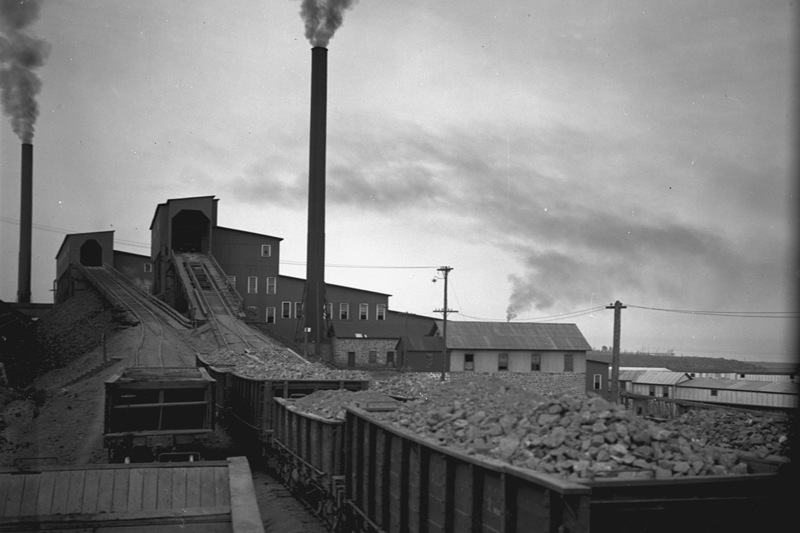 Suggestions over the years have ranged from dumping the waste in a special landfill; using it in modern mining operations; manufacturing materials like shingles from it; or recovering the trace amounts of leftover copper in it (research suggests that’s possible, but such a project would require government subsidies). Another option may not be popular among lake lovers: dumping the waste in Superior’s deepest reaches where little lives. Whatever the solution, it won’t be cheap, but something must be done, Kerfoot said. Really? It would seem, not having the info. that disturbing this material might be worse than leaving it alone? The story definitely contains a barage of inflammatory and exaggerated rhetoric and it makes one question the "honesty" of anything else mentioned after the first few paragraphs? Certainly studies have been done on the leachability of the material prior to it's disturbance, right? Surely there have been studies to show that the sand is currently creating a strain on the Flora and fauna? Or is this just "someone's opinion" creating a real disaster where none exists? Not to mention the bloated government contract to move this material? Can someone provide a bibliography of the studies concerning these tailings? Thanks! Thanks for reading, PtTe2. Here's a link to a 2014 paper by Dr. Charles Kerfoot in the peer-reviewed International Journal of Geo-Information: "Light Detection and Ranging (LiDAR) and Multispectral Scanner (MSS) Studies Examine Coastal Environments Influenced by Mining." From the absract: "In Grand (Big) Traverse Bay, Buffalo Reef is an important spawning area for lake trout and whitefish threatened by drifting tailings. The movement of tailings into Buffalo Reef cobble fields may interfere with the hatching of fish eggs and fry survival, either by filling in crevices where eggs are deposited or by toxic effects on eggs, newly hatched larvae or benthic communities. Here, we show that the coastal tailing migration is not “out of sight, out of mind”, but clearly revealed by using a combination of LiDAR and MSS techniques." The article also includes an extensive reference list for further reading. Hope that helps. Thank You, Jim. Have downloaded the article, will read as soon as I get time. Will also review the references for further info. Sure hope I can access the references? (That's quite a problem for those of us who are independent, as you probably know?) Thanks, again. Again, thanks for the link to the paper. It's is apparent that, yes, there are definitely toxic effects on the biosphere in the area where these sands are and to where they have migrated. I hope that funding in found to dredge the material, starting at the southernmost extent and retreating up the coast to the original tailings. The tailings should be immediately confined and removed. I'm not sure what the effects on groundwater would be if the tailings are reintroduced to the old mine works (if possible) but that might be part of a solution? Another laymens suggestion might involve reintroducing sand and boulders onto the subsurface sands in order to bury them and establish new habitat at Gay? Whether leaching would continue to produce toxic chemical effects would need to be determined. Thanks again for providing the paper. It would really be good if professional journal articles were more accessable to the public. Also, having worked with Lidar often, I had no doubt it could be a useful tool for determining underwater topography. Legacy mining effects are a significant challenge to the current population and biosphere. It's good to know that individuals are working on solutions to such. Now, if we could get the People to understand the need to take these expenditures seriously? In all areas of science many journals don’t post links or give a bibliography and when asked, don’t reply. There is often a distrust of claims by some of us until we look at hard data. Thank you Jim for such an informative article. I find it useful to access the background information given and see where this article is a well measured piece. I only wish other Michiganders would educate themselves on these issues. My worry is for future generations who will need to come up with ways to mediate these problems. You are correct. That is the current policy for the tailing that were dumped in to the lake. However, this is from erosion along the shore where this mine waste was dumped years ago. It is washing in to the lake and the current action, especially during storms, moves the finer material around. The old, much loved, Republican 'Privitize Profits, Socialize Costs' approach to business. Pollute then stick the rest of us with the costs of the clean up. Been repeated in every corner of the country. Google some time about all the drilling rigs out west that the owners profited from then abandoned when they were no longer profitable. As usual Rick lives in his fantasy world where Republicans, Koche Bros., DeVos' etc. etc. are the source of all evil and harm done on earth so therefor he's exempted from all and any thinking. But Rick how about if you let let us know who was in charge of the state when this was being dumped? DE-LUS-sional you are Matt, you and your ilk make anything you say Moronic, and yes Rick is right you don't see mining companies lining up to get rid of it do you. it's always tax payers that have to clean up after. Matt, A simple Google search led me to this. During the mine's operation, 1900 to 1930, seven Republican Governors served in Michigan and only one Democratic one. Matt, The governors during the dumping between 1883 and 1933: 9 Republicans and 1 Democrat. So what? There’s a lesson here. While worrying about how to clean up previous mining messes, folks might want to keep their eyes on the legislature and the bills lawmakers have passed to relax mining laws in the state. There isn’t much point in trying to fix things if we are going to be careless about the environment going forward. Interesting that he has a plastic bottle of water, no doubt bottled by Nestle who is actually stealing Canada's water -- and we let 'em! Sounds like people cant get their ducks a row. If it truly is poluted, then its eligible to be a superfund site. I know that in duluth mn's Strikers bay cleanup was done with superfund monies. These concerned people need to reach out to their congressmen, senators. And the epa. The article fails to mention fishing pressure as a possible cause of the decline in spawning numbers. Lastly, if the local tribe can enforce their treaty rights concerning pollution and fishing effects by suing in fed court. Sounds like nobody's doing nothing. And, to put the waste back where it came from---so it will eventually happen again? The waste needs to be transported somewhere away so it can be recycled into some other products! It'll be a long time before this and future generations will be able to "fix" and "pay for" all of the environmental sins of "past" generations. It's not going to happen overnight and it's not going to be cheap. My community is finally getting around to separating the sanitary and storm sewers in my neighborhood and yes, my taxes are going up. I trust that legislators working with EPA (and Michigan DEQ) and other environmental scientists can establish priorities to identify those hazards that are the most immediate and serious threats to both the environment and health. Couldn't the "black sands" be used and stabilized in asphalt road mix or concrete (like fly ash)? That’s a reasonable idea to investigate. I think stamp sand has also been polluting Torch Lake for years causing cancerous growths in the saugers. Many record weight (due to tumors) fish caught there. Do not eat though. Do it.....just do it. Money can be replaced, but places like this can't. Shame on the people who left this mess behind. If the Indians are so concerned about the red they exploit, they should use some of that casino money and pitch in on the rehabilitation efforts. Further, there are hundreds of miles of ATV trails that could use a whole lot of fill after the flooding last year, maybe they could find a use for the waste sand. Dumping it back in Gay is the most insanely idiotic idea...well...almost as idiotic as the DNR dredging the marina and piling the sand next to the wall.